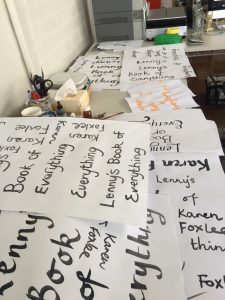 The cover for Lenny’s Book of Everything had to be something special to capture the beauty, wonder and complexity, joy and grief of the book itself—a very tall order for any cover! We needed an extraordinary designer: Sandy Cull, award-winning designer par excellence. 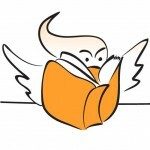 She was instantly in love with the story and got to work different concepts and designs. Perhaps a close-up of an architrave, with Davey and Lenny’s heights marked against it? A 1970s refrigerator, with the title in magnetic letters? 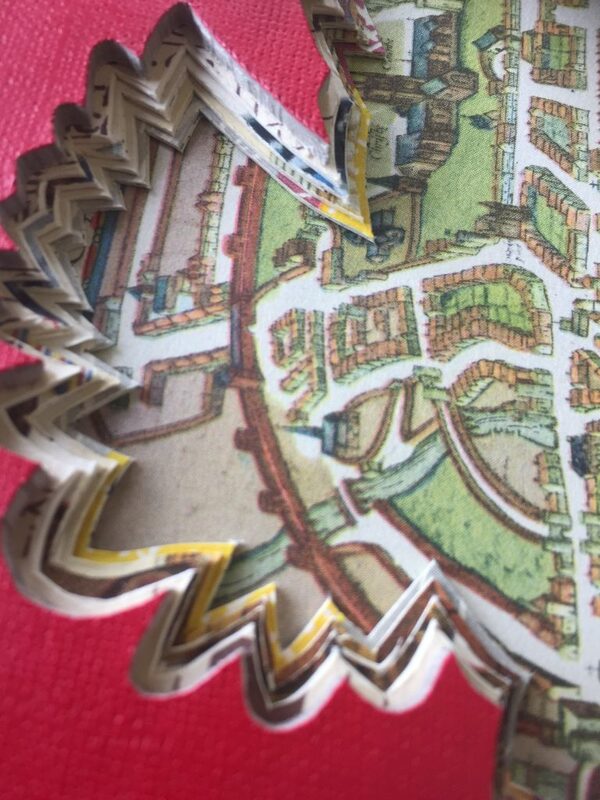 A collage of 1970s children’s encyclopaedia pages? There were at least 30 different iterations of possible covers. 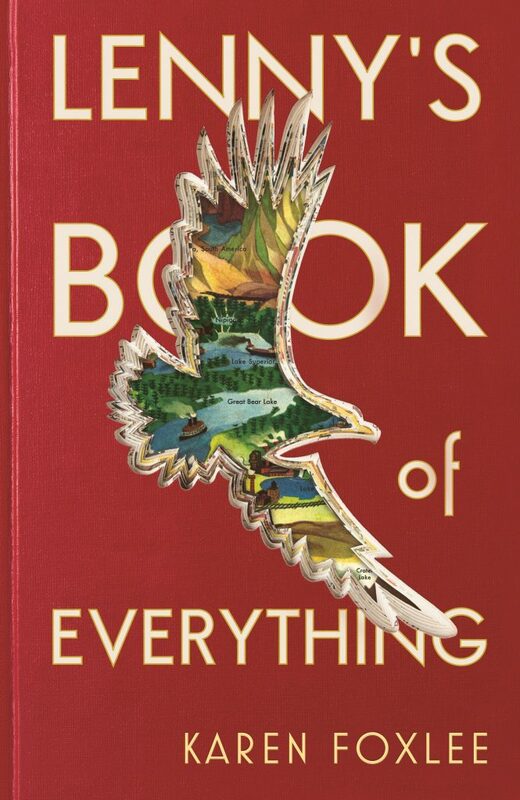 But the concept we all kept returning was Sandy’s most inspired—a cut-out book sculpture of a soaring eagle for a cover. The cut-out concept was perfect in several ways. 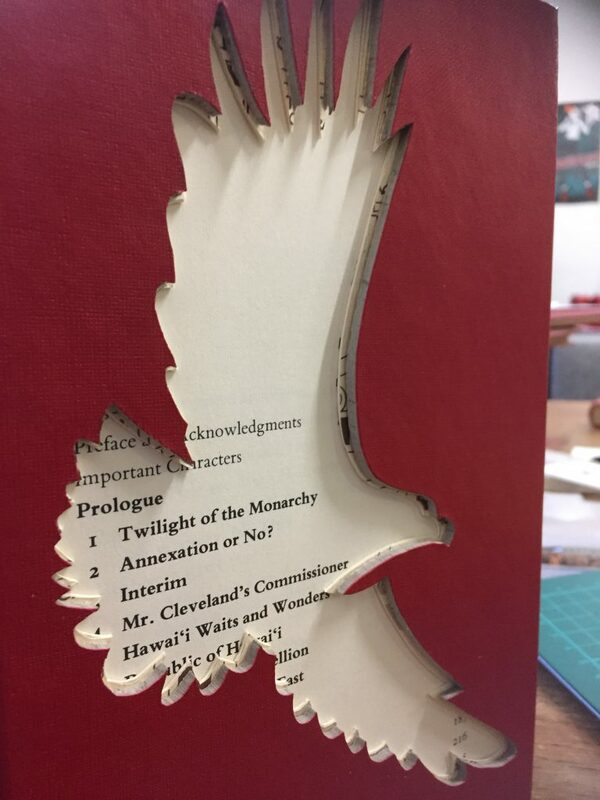 Timothy, Davey’s pet eagle in the story, is an absence—he’s imaginary, after all. A cut-out also graphically demonstrated the depth of the story. 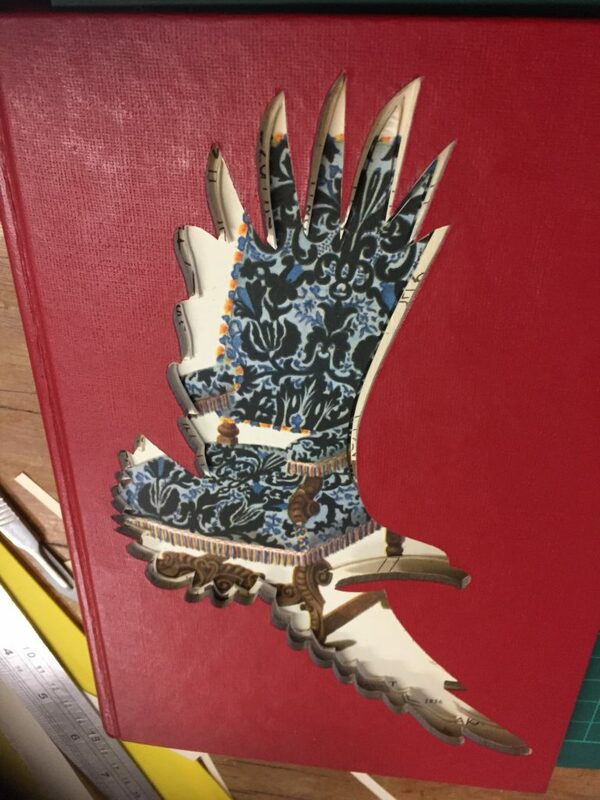 It’s tactile, textured, and makes you want to open up the book to see how the pages are cut. 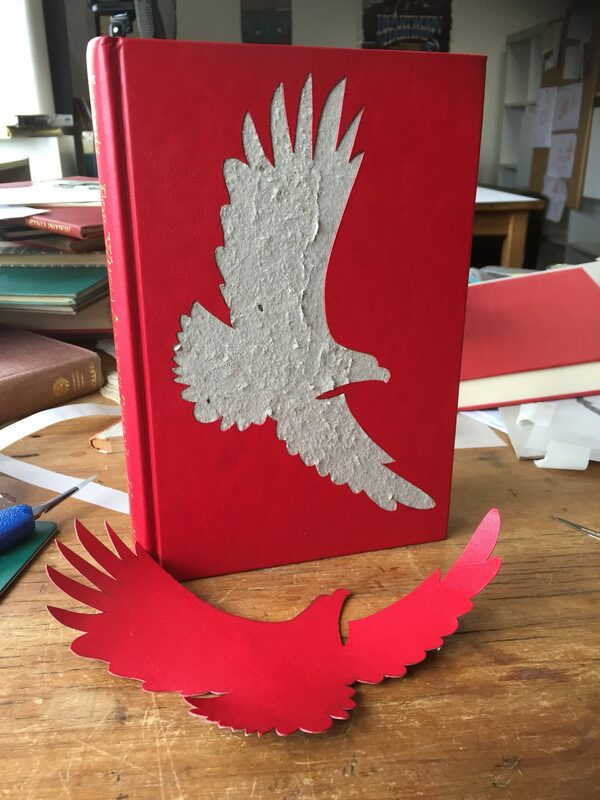 We had the wonderful Nicholas Jones carve our book for us, and he documented the process in photos. What should the image inside the carving be? If you cut away the pages of the story, what would be revealed as its heart? Sandy tried a map of the Northwest Territories and illustrations of the beetles that Lenny loves so much. Nothing seemed quite right, though, until we found 15 vintage volumes of the 1970 Golden Book Encyclopedia, the very same encyclopedia on which Karen Foxlee had based the fictional one in the story. And there, in Volume 9 (Labor Day to Matches), we found the illustrated spread on Lakes—including Great Bear Lake. 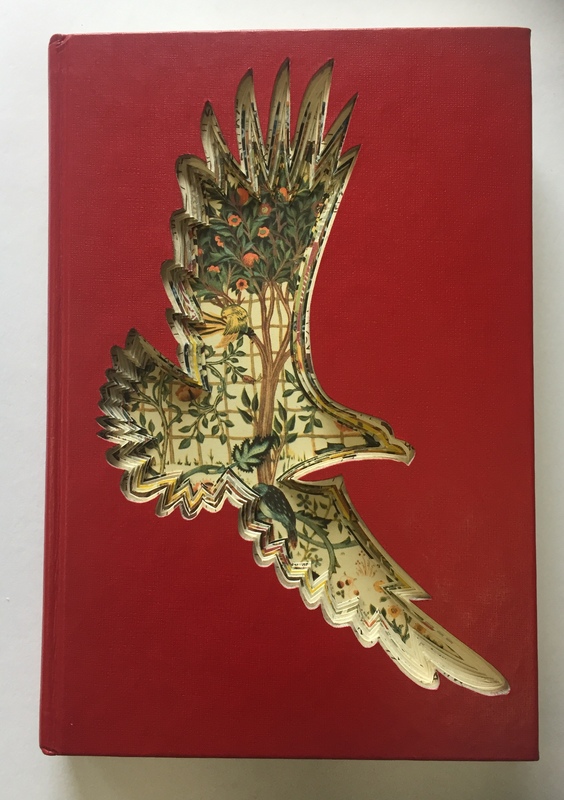 Okay, the image was perfect—the soaring eagle, the gorgeous red fabric, the colourful illustration of lakes. How would we get the title onto this cover without detracting from the intensity of the image? Maybe we could try hand-lettering? But everything we tried started looking a little too dated. The book is set in the 1970s, but we didn’t want it to look like it was actually from the 1970s. Maybe childlike fonts, like Lenny had written the title herself? But they looked unfinished next to the crisp lines of the cut-out. 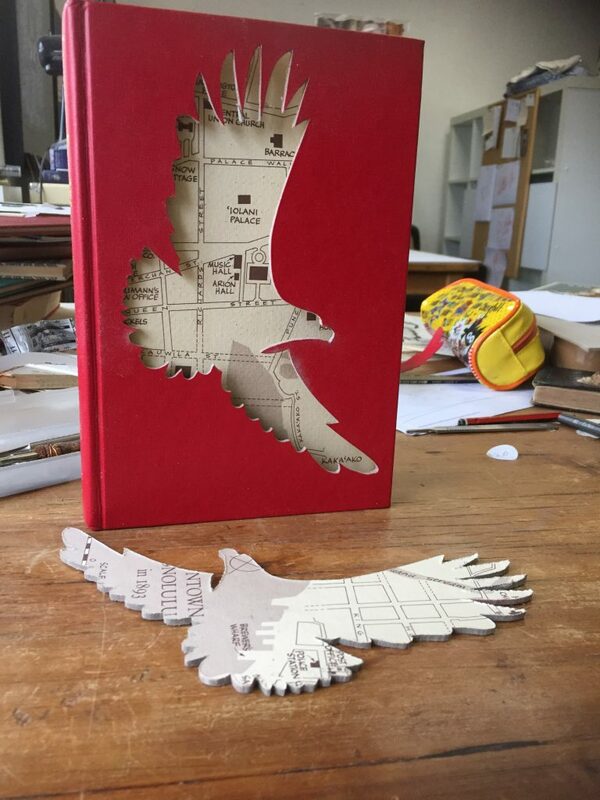 The type looked like it was from a real encyclopaedia without being too severe, and the eagle sat right over the title, leaving no doubt that it was what the reader should look at first. It is the perfect cover for the book, and we can’t wait to share it with you soon! 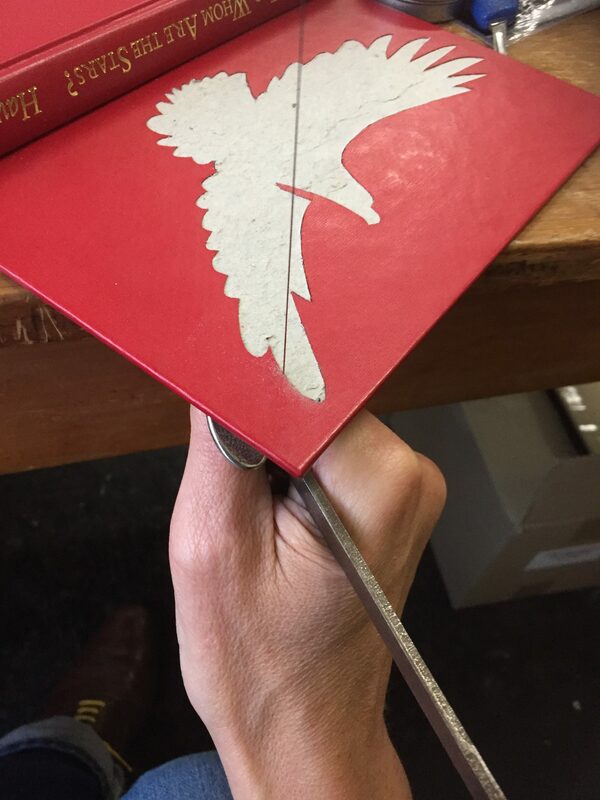 For more behind the scenes looks at cover design, see our posts on designing Fight Like A Girl, redesgning Garth Nix’s Old Kingdom and our series on redesigning The Hidden by Lian Tanner.